Home » National News » Ranchi: Shocking! 7 people of the same family committed suicide for a shocking reason; another Burari death case in-line? Ranchi: Shocking! 7 people of the same family committed suicide for a shocking reason; another Burari death case in-line? A shocking incident has come to light from Jharkhand capital Ranchi where 7 members of a family allegedly committed suicide. This is another mass suicide case that comes to light after Delhi’s Burari deaths case of a family. As per the reports, the deceased have been identified as Deepak Jha (40), his wife Soni Jha, Rupesh Jha, Deepak's 7-year-old daughter Drishti, and younger son Ganju. Ranchi’s family who has allegedly committed suicide was residing in Kanke police station area. Police have already begun the investigation into the case. However, the reason behind the mass suicide is yet to be identified. 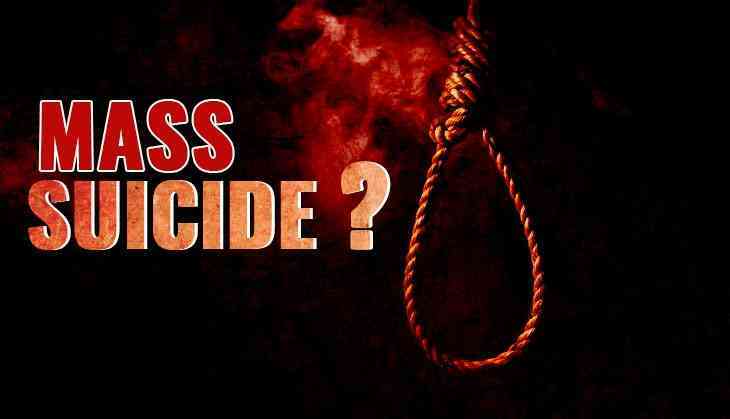 Earlier this month, the family of six members from Hazaribad in Jharkhand also had committed suicide in their apartment. As per the reports of TOI, the reason behind the death of the six people was financial stress which had made the family took the life taking a step. These shocking incidents have come in the line after the mass suicide committed by 11 members of a family in Delhi’s Burari area. The deaths of 11 members of a family have shaken the country. Because of the mysterious condition of the people who found hanged from the room’s roof have put everyone in a dilemma that how all people of a family commit suicide on the same day and same time. However, the investigation of Burari deaths is still going on. Police are doing the investigation from all possible angles. During the investigation, Police found various twist and turns into the matter which also shocked the crime branch. A register was also recovered from the house of the family which indicated that the family was engaged in spiritual practice and it was the reason that made them do suicide.